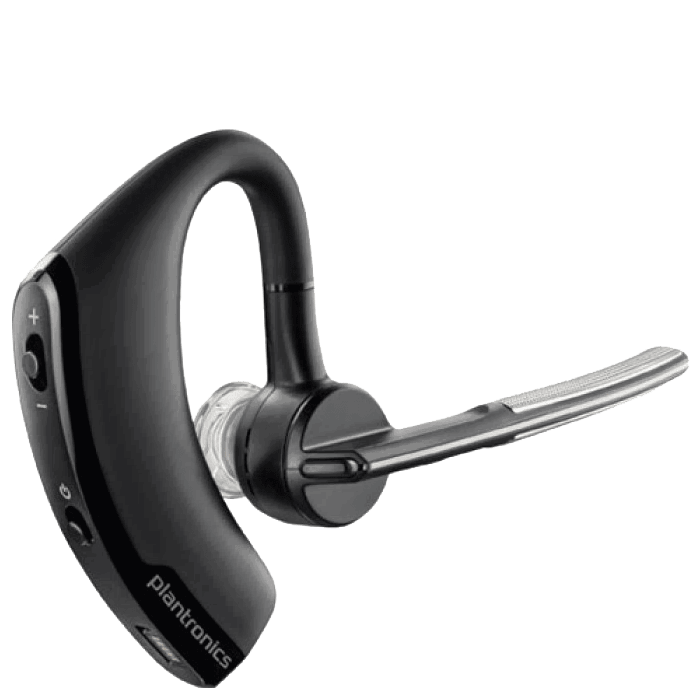 Plantronics Voyager Legend CS Wireless Headset - Headsets Direct, Inc. Imagine using one headset for both your office and mobile phone needs. 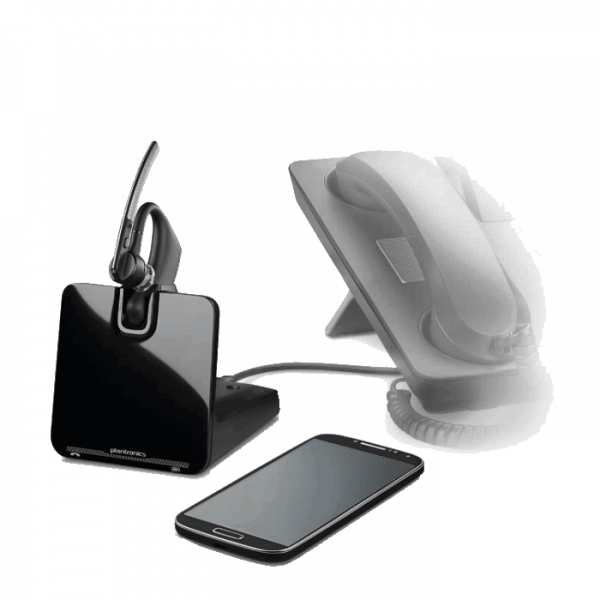 Enjoy the simplicity of using the same Voyager Legend CS Headset with your office phone, AND your mobile phone. 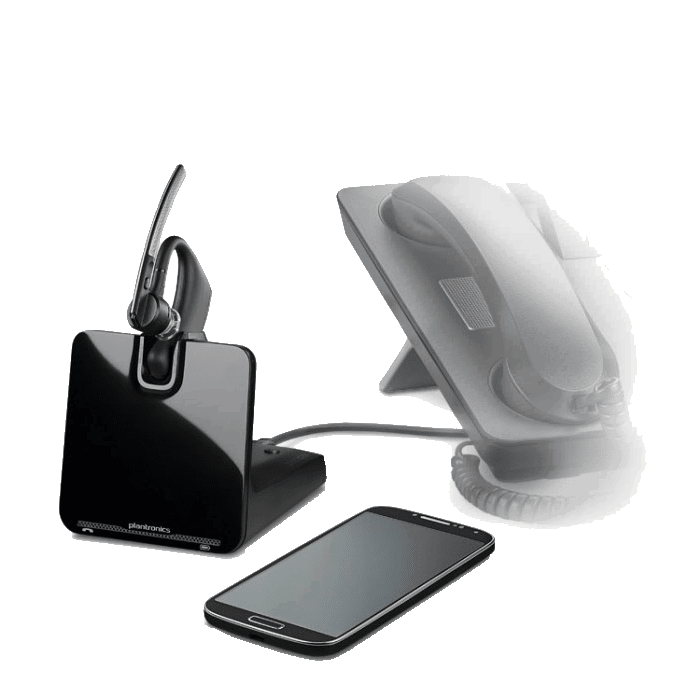 This headset travels easily with you from your office as you call on businesses, attend meetings, and travel home, all without interruptions or missing a call. 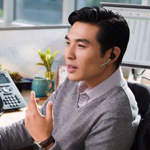 Listen to music or other media in between calls; the Voyager Legend CS automatically pauses your music or streaming media when you have an incoming call. Hear and be heard clearly no matter where you take your calls. 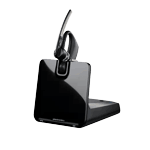 The Voyager Legend CS headset features a precision-tuned triple mic with enhanced DSP for superior noise cancellation, while advanced WindSmart® technology provides three layers of wind protection. 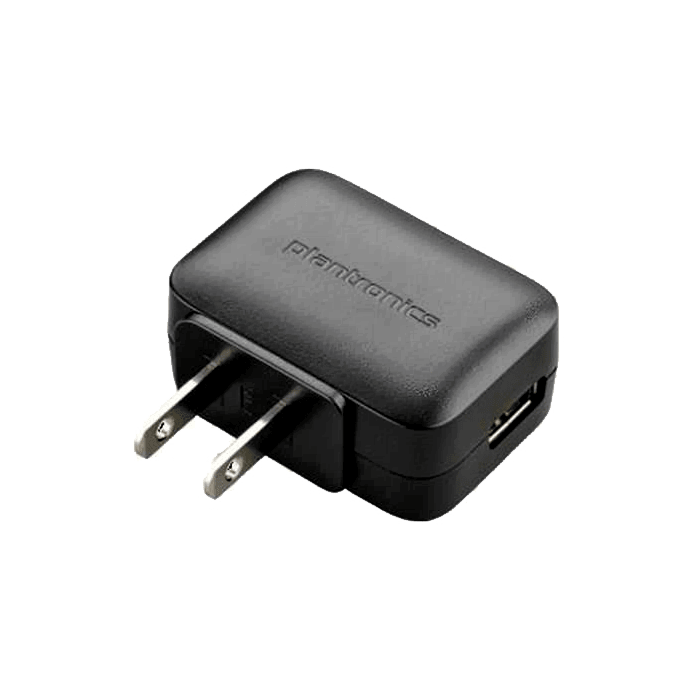 Integrated A2DP lets you listen to streaming media from your mobile phone or tablet. 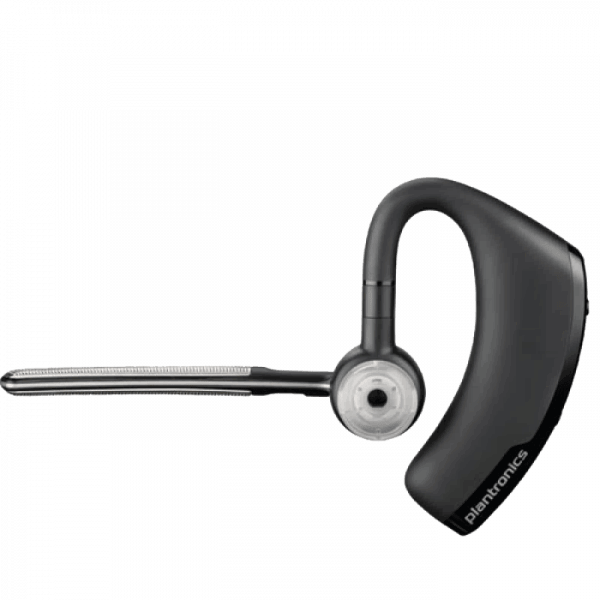 The Voyager Legend CS uses Smart Sensor technology that creates a seamless and intuitive user experience by automatically answering calls simply by placing the headset on your ear* and automatically transferring calls between your mobile phone and headset. Simply say “Answer” to answer a call, or ask to hear a list of commands from the command menu, including redial and check battery level. No need to look at your phone to know who is calling with Caller Name Announcement (mobile only), and voice alerts will let you know remaining talk time and connection status. Do you live in a humid climate, do you work (or play) in a marine environment? The newest military-grade P2i Nano coating on the Voyager Legend CS has liquid repellent properties that will protect your valuable equipment no matter where your life takes you. The hard-working invisible coating helps shield against moisture, sweat, and spills. Don’t stay chained to your desk, if you’re serious about getting more done in a busy work day. Going wireless allows you to roam your office while you talk. Ever need to grab a file while on a call? How about paper for your printer? Need to ask a co-worker a quick question? 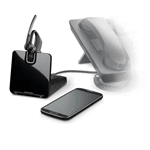 The Voyager Legend CS lets you handle desk phone and mobile/tablet phone calls from a single headset while allowing you to roam up to 33 feet from the desktop charging base or mobile device. With the ability to roam, you’ll improve productivity, as you’re able to gather information throughout your office while continuing to talk. 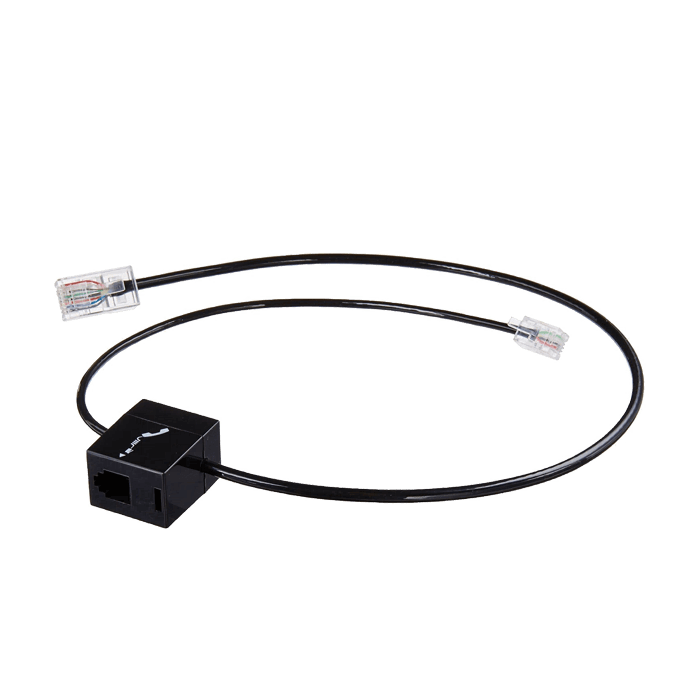 Order the Plantronics HL10 Handset Lifter or a compatible Electronic Hook Switch Cable (EHS) for remote answer and hang-up capabilities. 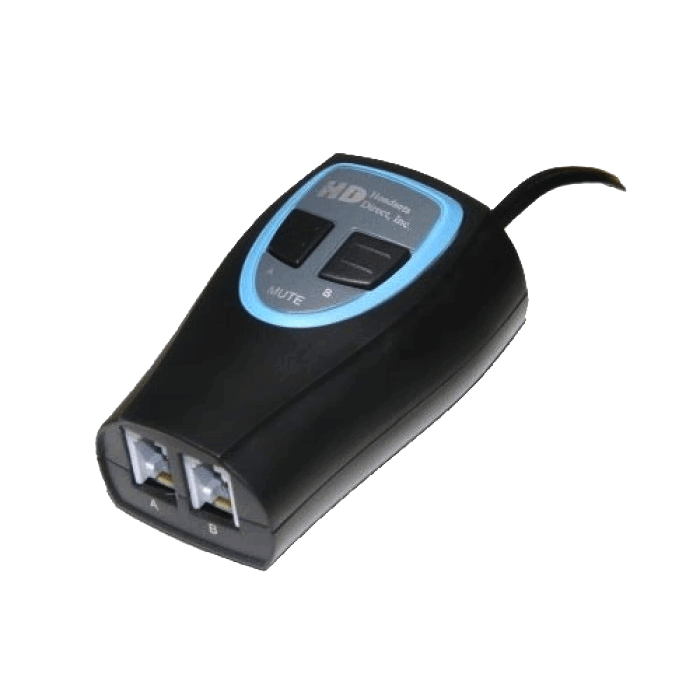 Call 1-800-914-7996 for compatibility, or see our available options on the HL10/EHS Cables product pages. 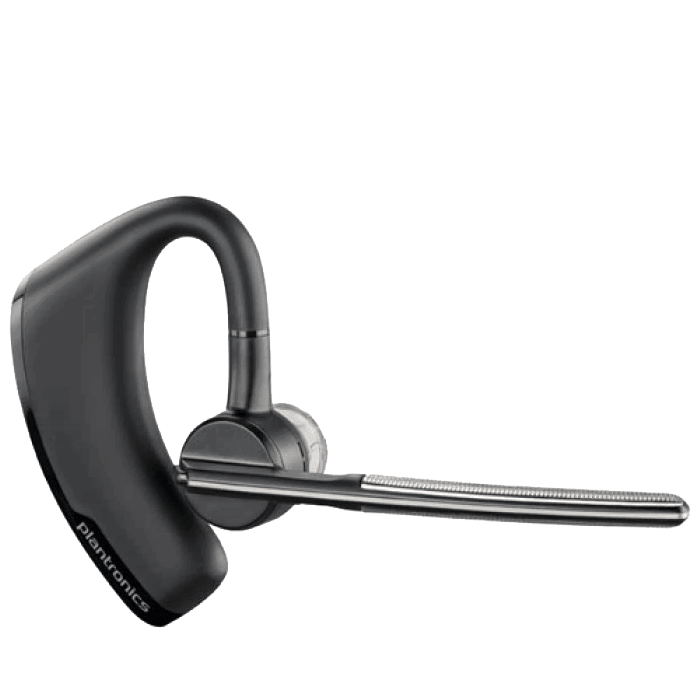 TECH REVIEW – Combine the stylish design of the Voyager Legend Bluetooth headset with the convenience of an office headset system and you have the new Voyager Legend CS! 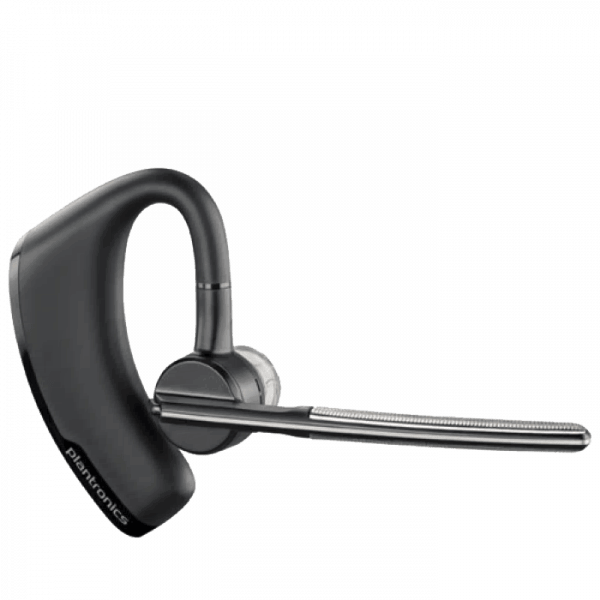 While at work you can take calls from both your desk phone and your mobile phone, all with this one lightweight headset. Life doesn’t stop at 5:00 pm, so you can keep your headset on and answer calls from your cell phone even after leaving the office. This Legend offers up to 7 hours of talk time, and you can set it on the base to charge while at your desk to last you even longer. With up to 33 feet of hands-free roaming, you will greatly increase your productivity. Superior audio quality is achieved with the latest in DSP, Windsmart and noise-canceling technology. And let’s face it, life is messy! Your new Legend has the newest military-grade P2i Nano coating to help combat against humidity, moisture, and spills. 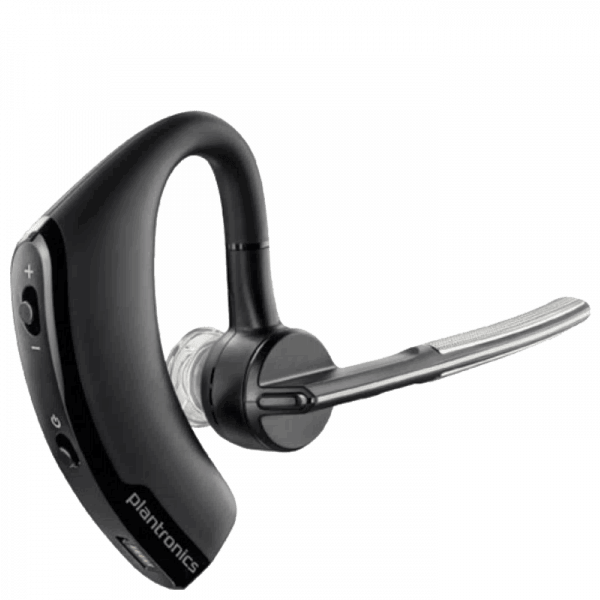 The flexibility of this headset is the perfect way to streamline your communication needs! HOW TO INSTALL – The setup of the Voyager Legend CS is quick and easy, and can be done in a matter of minutes. It is as simple as attaching the A/C power adapter into the Voyager Legend base and then plugging it in the wall. Then you connect the interface cable between the phone and base. On the bottom of the charging base you have two dials, one adjusts the volume on the microphone, and the other adjusts the speaker volume, so you can adjust them even while on a call. There is also a compatibility slide switch that comes preset set on “A” as a default, but if that doesn’t work with your phone, then slide it to the appropriate letter. 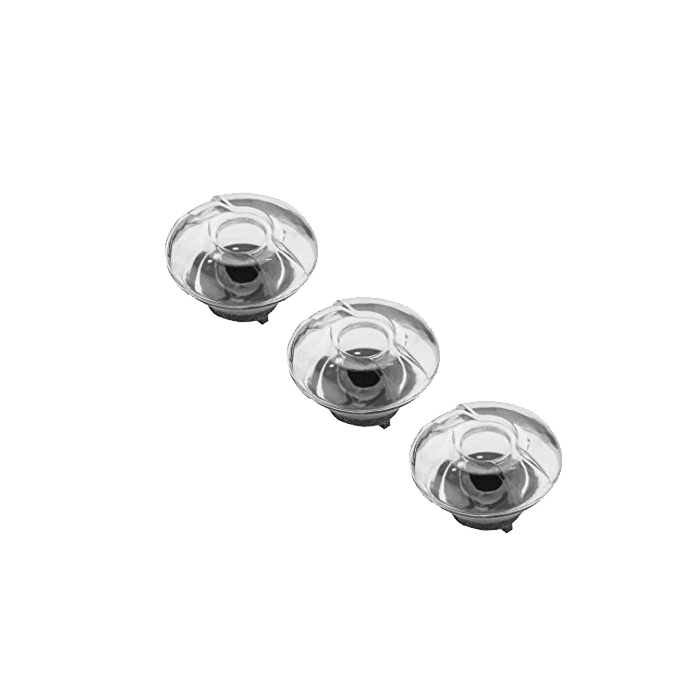 How do you know which setting works best? If you don’t get a dial tone or the sound is not clear when set on “A”, then slide it to the letter that gives you the clearest sound. 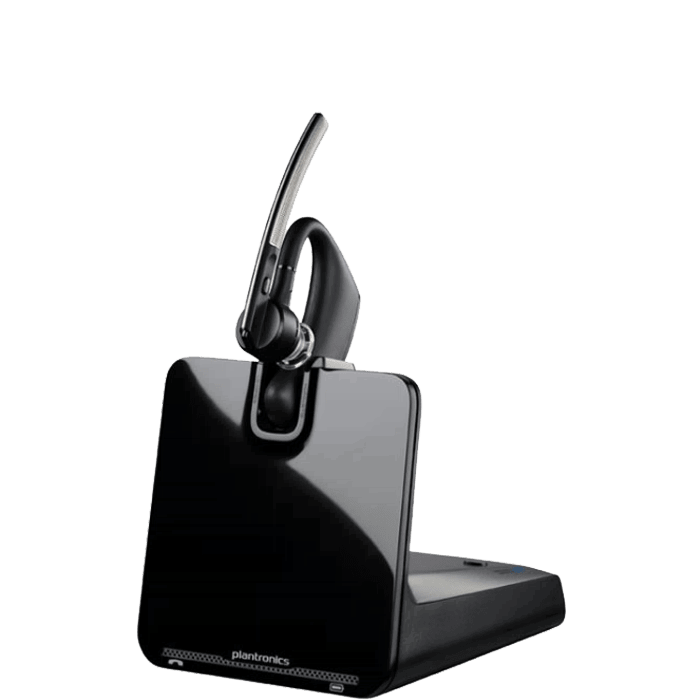 To pair your Voyager Legend CS to your mobile phone, simply put the headset into pairing mode and have your phone search for available devices. Once your phone shows the Legend, select it, and it’s ready for mobile use. 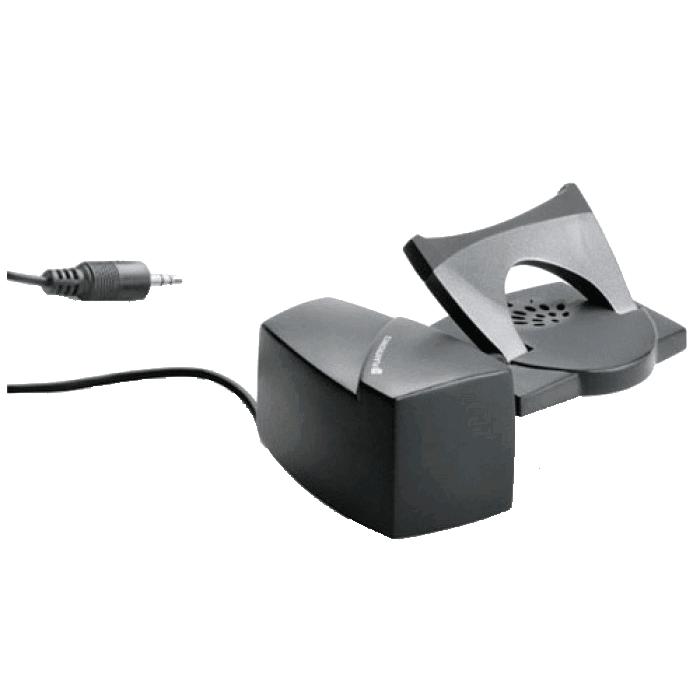 HOW TO STORE – The Voyager Legend CS charging base and headset sit discreetly on your desk not taking up much space at all. At lunch, the end of your day, and any other time you remove the headset, it’s best to place it back in its charging dock. This keeps it safe, and you’ll always be able to quickly grab it should another call come in. This also allows it to charge when not in use, so you can get the most battery life possible when using it. In addition, the Voyager Legend CS uses magnetic docking, which ensures a perfect connection every time when charging. 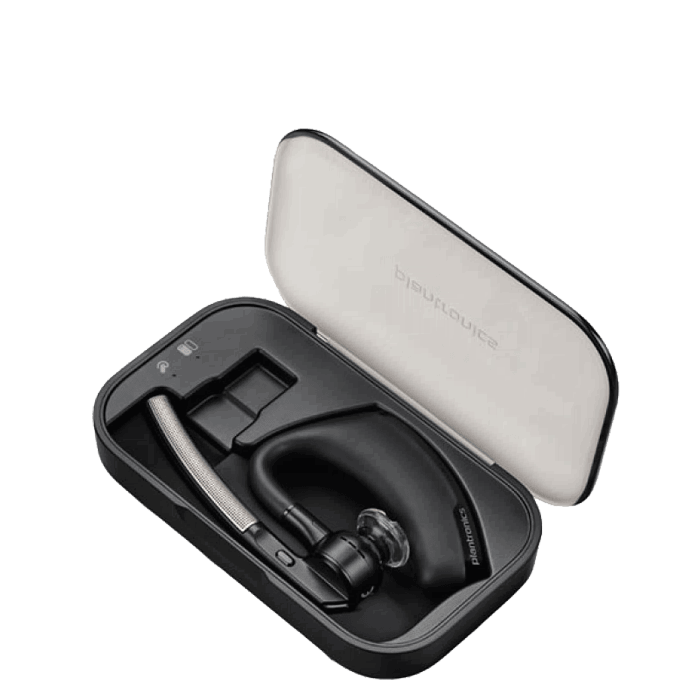 HOW TO CLEAN – When cleaning your Plantronics Voyager Legend CS headset, be sure to always use non-alcohol chemicals or wipes. Using alcohol-based products over time will break down the plastics and can dull or damage the finish. 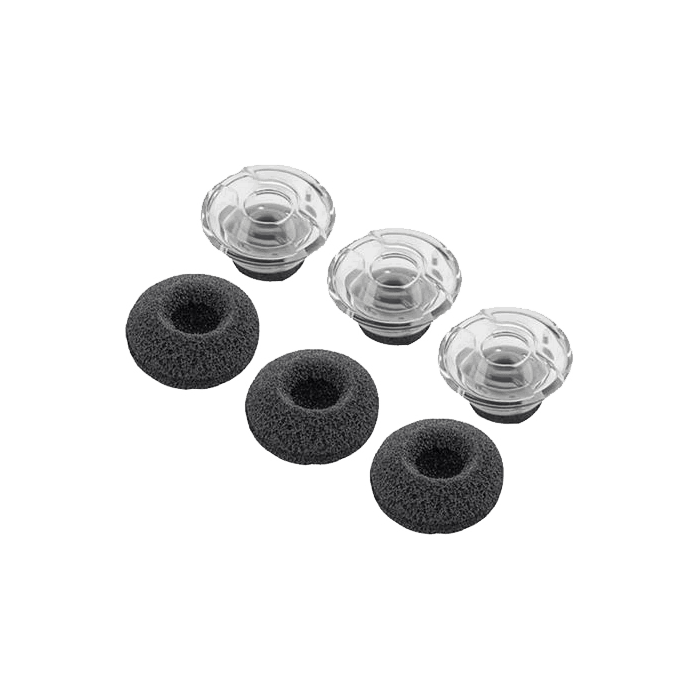 You can use a very soft, non-abrasive cloth to clean or polish the base, as well as the headset, so they maintain their sleek appearance. 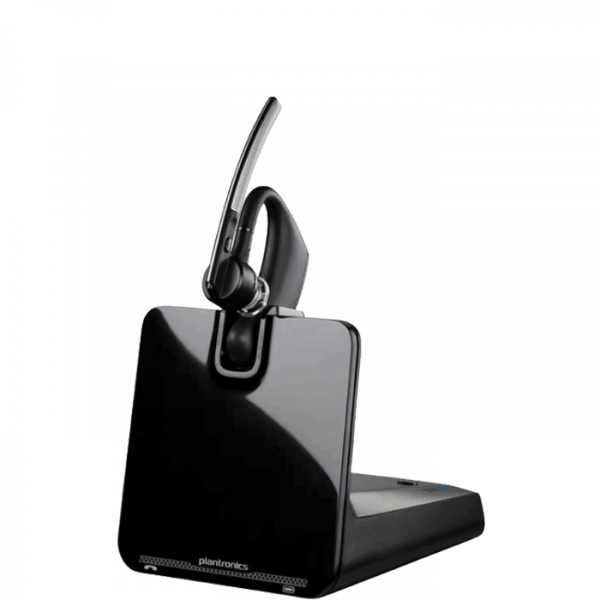 WHO USES THIS MODEL – The Voyager Legend CS is the perfect headset for users needing a high-quality sounding headset for their multi-line office phone, as well as their Bluetooth mobile phone. This allows you to use one headset for two applications. And best yet, it allows you to take your headset with you for the commute home and continue talking on your mobile phone. 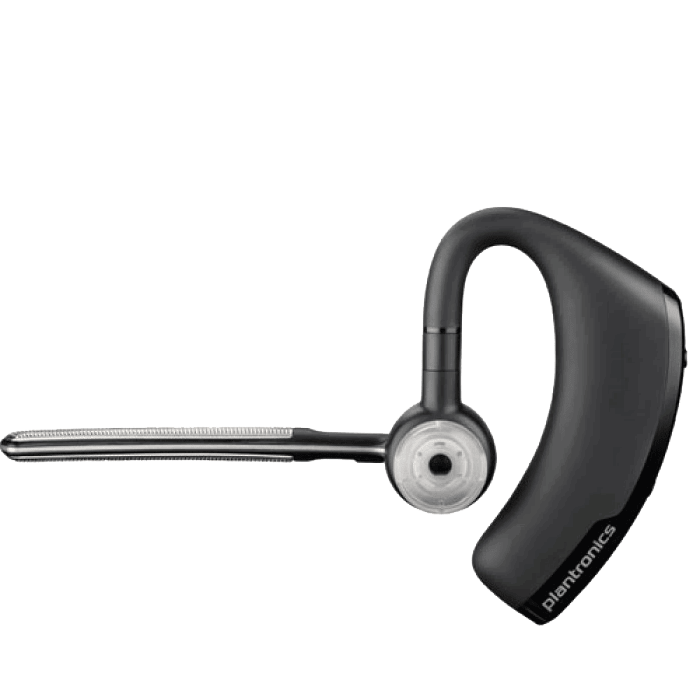 Light weight, versatile, and great quality describes the Plantronics Voyager Legend CS wireless headset. Does not take up a lot of desk space and easy to use. Great experience with using this product. The ear piece is very large, hurts somewhat behind the ear. The other is the range isn’t a good as you state it is. Works like a charm, easy to set up, love it! Try it! This is the best head set I’ve had. It’s comfortable and clear when speaking and listening. My favorite part is that I can also answer my cell phone. Comfortable, light, clear sound. Only complaint is need to click it on for each call. Great headset, like the fact I can listen to music on iPhone while working, and when office phone rings I can answer it. The batteries are not as good as my regular cell Bluetooth but it does make it through the whole day. Does charge super fast. Call clarity and mic are clear. My older Voyager, you could tell I was on a headset, new model is just as clear as holding a phone. Little large behind the ear, but it doesn’t move or press in ear hard, after a while you don’t know it is on. I am fully satisfied with the performance. Very user friendly! !